Anyone who has visited Killingworth Lake recently will have noticed significant earthworks in progress on the south bank necessitating temporary closure of the footpaths on this side of the lake. A series of water catchments zones are being constructed to alleviate flooding problems in the Benton/Forest Hall area. Additionally the Environment Agency has created three new islands on the main lake which have been planted with vegetation which will help oxidisation of the lake. These are also intended as fish spawning sites. Attempts have been made to dislodge the existing island from the causeway but this has not been possible. Submerged islands are also to be installed on the small lake on which the vegetation will grow upwards. In addition bird and bat boxes are to be erected in the woodland on the south shore. All work should be complete by June 2019. Saturday January 5th was a good day; it was Winter Bird Race Day. Seven teams set off, with various fine tuned strategies, to see as many species as they could in the hours that were available. Weather was relatively benign, and some would say even warm. However in exposed places such as Stag Rocks, Bamburgh, some individuals fastened their jackets and needed to put their gloves on! One of the interesting things about winter bird racing is that the ‘birding deck’ is shuffled every year. The received wisdom, for example, is a ‘kind of you know’ where the Purple Sandpipers should be but there is no guarantee that they will be there when you go looking for them. More significantly there are always the birding wild cards of rarities, scarcities and flybys to add to the mix. That was again the case on the 5th January. Teams have their favourite sites, these are combined with traditionally good sites for certain species and some sites, which are temporary home for ‘exotic’ species, are all reccied before the big day. So with reccies all done, some teams started and stayed in the south of the county, others started in the north and headed south, whilst one team started inland then headed east. Many miles were driven scouring the various habitats for birds with one team actually walking 10 miles, as well, during the birding quest. Meeting back at the Keel Row, near Seaton Delaval, after dark for the official ‘Call Over’ much ‘craic’ and a couple of beers was had before the wining team (See results below) was declared and the Trophy presented. On the day, seven teams ‘raced’ with a total of 25 team members, and they are listed below. Well done to the winning team, Jack Bucknall, James Common, Sacha Elliott, and Dan McGibbon, who found 109 species; with the combined list of all teams reaching a total of 131 species recorded. However there were some obvious gaps in the combined list with, for example, Gannet, white-winged Gulls, Kittiwake and Skylark going unrecorded. 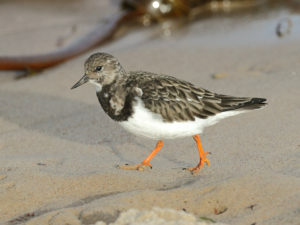 Other species that were in the county but were missed included Ruff, Spotted Redshank and Hooded Crow to name but three. But it’s forever a case of ‘what might have been’. Before dispersal everyone agreed it had been another very enjoyable day and a great way to start the year and all vowed to do it all again next year on Saturday January 4th 2020. Will you join them? ‘As part of a project with Newcastle University studying the ‘home range’ of Turnstones we’ve been colour-ringing, with yellow flag (and Radio tagging) at Druridge Bay. We’re now at a point where would encourage reporting of any sightings. If you do see any could you please note ring combination, grid reference and location and date and time and let me know. You may see me wandering about with waving an aerial around tracking as well, if so please say hello. 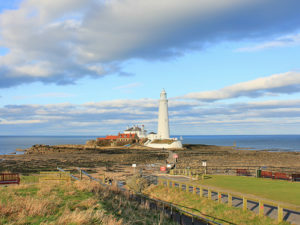 The NTBC committee has been informed by Mr Adam Kelsey, the Manager of St Mary’s Lighthouse and Visitor Centre, of forthcoming changes to the access arrangements to the hide on the Island. The relevant part of his email is quoted below. 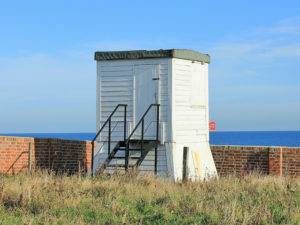 “Previously keys to the hide have been sold by the Council to allow access to hide outside of normal lighthouse opening times, but although this practise was stopped some time ago, it has come to the attention of Council officers that some of the keys issued before this point have been copied and circulated to other users. To this extent the council therefore no longer has any control over access to the hide, resulting in instances where the hide is in use without council staff present to supervise, which could potentially result in instances of misuse and the inability to respond in the event of an urgent incident. The committee hopes that club members will cooperate with this protocol. 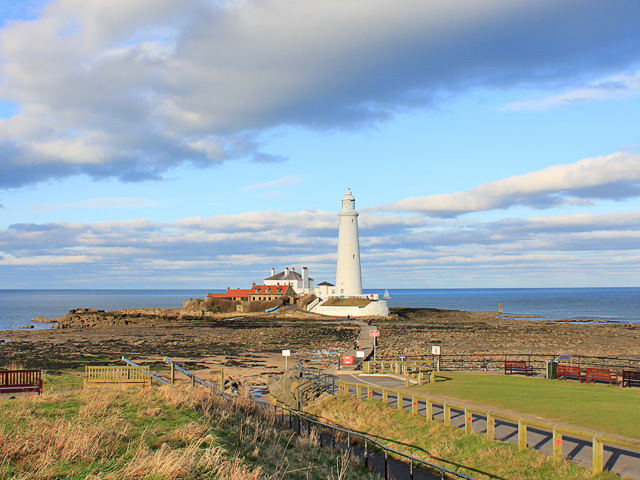 Mr Kelsey can be contacted via email at Adam.Kelsey@northtyneside.gov.uk and by phone at 0191 200 8650. The Seaton Sluice Watch Tower has had repairs and a lock change. Members may obtain keys for a £5-00 fee at any indoor meeting from the club Hon. Secretary Andrew Brunt, or another committee member. If this is not possible, contact him preferably by email and one can be posted, cheques payable to “NTBC”. Contact details are on the contacts webpage. All are reminded that the tower is for club members use only.